As promised, Mailbox, the popular mobile “inbox zero” email client, is available in beta for Mac users. The company gave users the opportunity to sign up for the beta as far back as April—now begins the slow rollout process. There’s no telling if every single person who signed up for the beta will be chosen, but be on the lookout for an invite over the coming days. 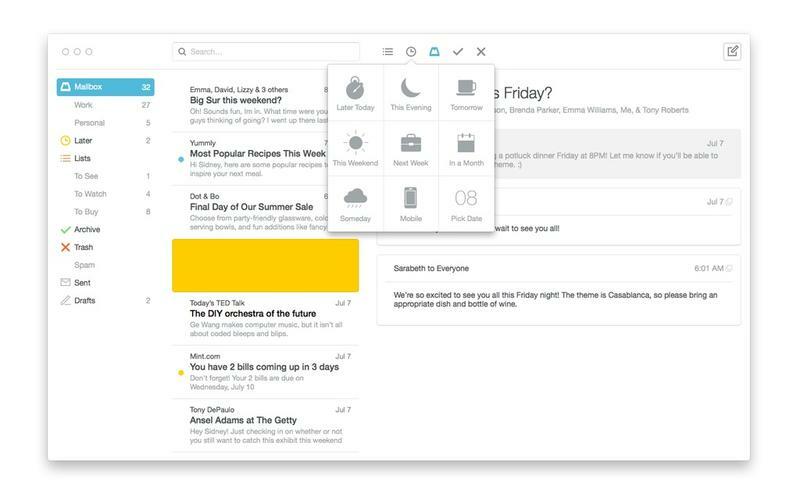 Mailbox has been around for over a year now, and since then it has changed the way we look at email. Dropbox actually acquired the company early last year, which is a testament to the app’s appeal. 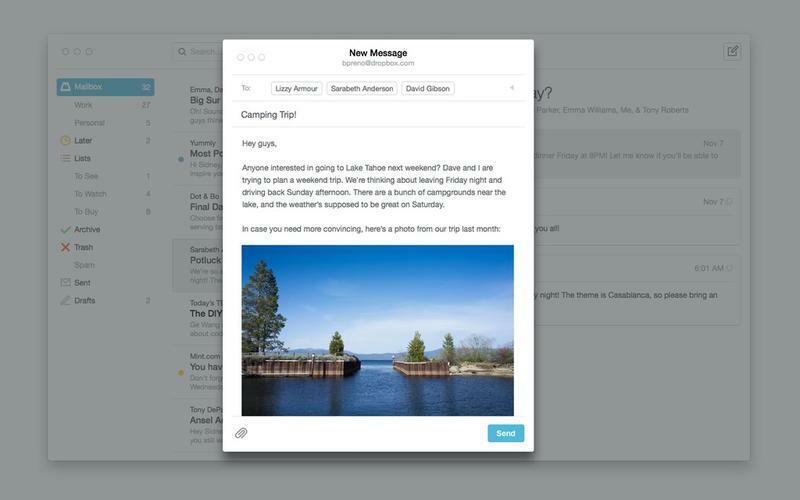 Through intuitive design and handy gestures, the software makes it super simple to archive, snooze and delete email. We went hands-on with the app when it first launched last year, and it has since launched for Android. If you haven’t signed up for the beta, Mailbox is still allowing people to do so here. In an announcement Mailbox made on its blog, it appears the company wants to take things slow and steady to ensure the experience matches up to its mobile counterparts. The look and feel is similar to what you’d find on mobile, but obviously you can’t use the same gestures you would on an iPhone or Android device. That’s the hurdle Mailbox will need to overcome in order to get this right. In addition to going into beta for Mac, Mailbox also said support for drafts is coming to desktop, with plans to introduce the feature to iOS and Android at a later date. Mailbox says drafts will be saved locally to the device you’re on and sync across all devices signed in with Dropbox. Handy. 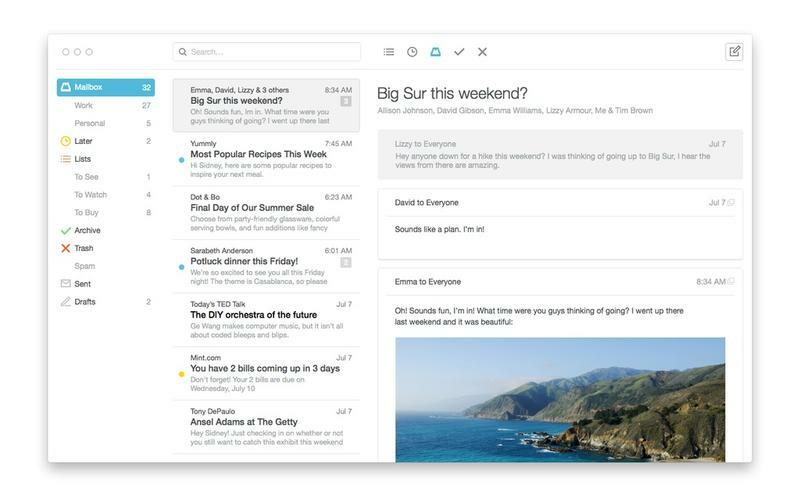 No launch date has been revealed just yet for the final Mailbox app for Mac, but you can start trying it out now (assuming you get a beta invite).